"Samsung has introduced the PM1633a. The world’s largest compact external storage device or non-technically known as a hard drive, packed into a 2.5-inch case. 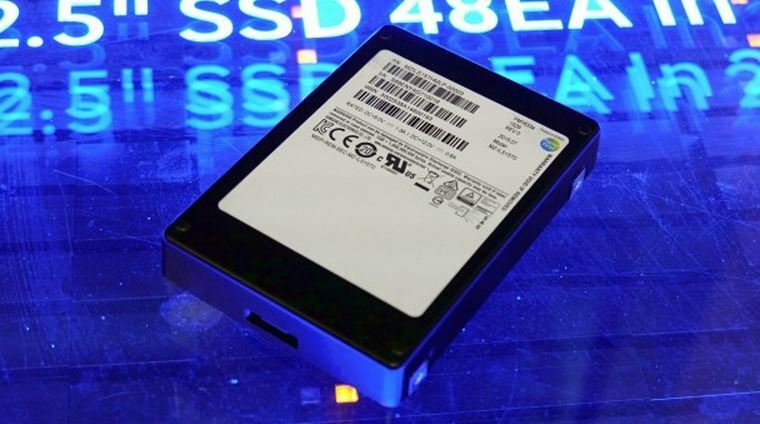 It’s listed as 16TB, with a usable15.36TB storage device, and it is a SSD. A solid state drive that uses Samsung’s new 256GB NAND flash as the basis for the storage. Meanwhile, the availability and pricing details of the new PM1633a 16TB SSD has not yet been officially divulged by Samsung and has begun the mass production of the 256GB V-NAND flashes.